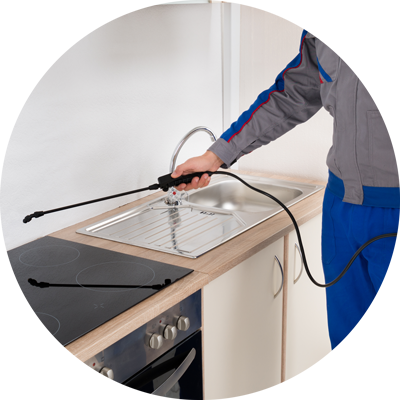 Pest-Tec Environmental is a leading pest removal company, offering our professional services to businesses across the London and Surrey areas. Different pests require different solutions for removal. Our skilled and experienced professional pest control technicians are experts in identifying the root cause of your pest problem, and then implementing the right solution to eradicate them permanently. A complete pest removal service will include this eradication treatment, as well as the recommendation of preventative steps that can be taken to stop the pests in question coming back. A form of treatment which uses naturally occurring bacteria, which infects and kills the pest. This is most commonly used in agricultural settings. These are a popular way to catch rodents, as well as larger animals such as foxes and badgers. There are various different traps available, including humane options – we will always discuss the most appropriate kind of traps to use in your commercial premises, and will dispose of the caught pests discreetly, to minimise reputational damage to your business. Insecticides and other chemicals can be used to kill off bugs and rodents in the workplace. Chemical treatments must always be applied by a skilled professional, as otherwise there could be serious hazards to people’s health. Poisons can be used to prevent a range of insect and bug pests, including slugs, ants, flies and ants. Some poisons can also be used on rodents found in your premises. This more costly option is sometimes necessary where a large piece of furniture has been contaminated. It’s placed in a large airtight container for several days, where a gas kills the pest inside. At Pest Tec we provide a whole host of services to commercial clients, ranging from bugs to rodents to birds to mammals. We can solve almost any pest problem at your premises. We always give our best in every task we take on, ensuring we do the job diligently and thoroughly. So whether the problem is in your school, farm, hotel, office or retail property, your commercial property is in safe and reliable hands. Passionate about our work, we are aware that the industry and technologies are always updating so we have a policy that all staff undergo regular training and are kept aware of any progressions made in the field, while at the same time we ensure all our working methods conform to the British standards in safety. We will remove all deceased animals from your workplace or premises, so you don’t have to deal with any part of the pest removal. Just leave it entirely in our capable hands!